Discover 15 facts about the English Baroque composer, responsible for chamber music, operas and songs. Henry Purcell is yet another composer whose birthday is not entirely set in stone. There’s evidence he was born on 10 September, but no record of his baptism survives. A London lad, the young Purcell attended Westminster School and was appointed copyist at Westminster Abbey in 1676. This map, from the year before Purcell's birth, shows his Westminster surroundings. Purcell landed the impressive post of Organist of Westminster Abbey by the time he was 20, in 1679. 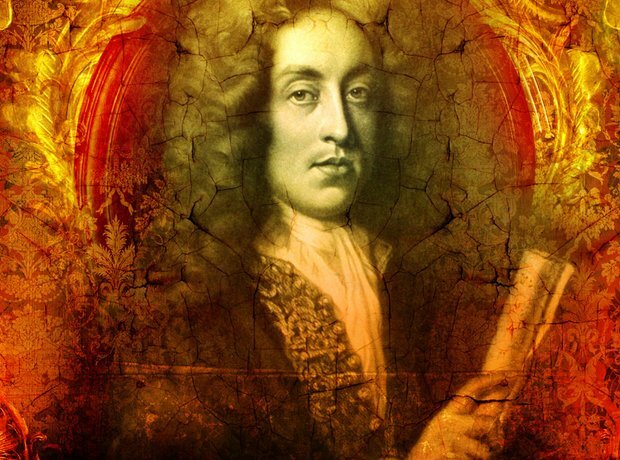 As organist of Westminster Abbey, Purcell played at William and Mary’s coronation on 11 April 1689. Spectators watching from the organ loft passed cash to the young composer, causing tension between him and the Dean and Chapter of Westminster. You may have noticed that Benjamin Britten’s ‘Young Person’s Guide to the Orchestra’ carries a distinctly Baroque flavour. It’s based on a theme from Purcell’s Abdelazar, written in 1695. Purcell fathered six children by his wife Frances, four of whom died in infancy. His wife, and two children Edward and Frances, survived him. 8. Purcell and Elgar: England's best composers? The 200 year void between Purcell’s death and the birth of Elgar (pictured) left a gap in classical music, and led England to be dubbed ‘The land without music’. Purcell’s first opera, ‘Dido and Aeneas’, was a monumental work in Baroque opera. Not content with a farcical boy-meets-girl love story, the work is based on Book IV of Virgil's 'Aeneid'. 10. Purcell and... The Who? Purcell’s music has inspired all sorts of musicians, including Pete Townsend of The Who, who identified Purcell’s harmonies as an influence on the band’s music. Tracks like 'I Can See for Miles', 'Won’t Get Fooled Again', and 'Pinball Wizard' all owe their existence to the Baroque composer. Purcell is one of many composers to write a piece in honour of the patron saint of musicians. The work premiered in 1692, and was so popular it received an encore. Purcell may be the first and only composer to die from chocolate poisoning! In truth, no one really knows for certain how he died; one theory is that he caught a chill after his wife locked him out the house, but it’s likely he died of tuberculosis. Roger North, a contemporary of Purcell reported that the composer may have been a bit of a snob. He made a note of the music the public disliked, because he thought his best work was too good for them to understand. Purcell’s musical talents where cut off in their prime. He died aged 36, adding his name to the list of musical geniuses to die in their 30s, including Mozart and Schubert. Baroque composer John Blow was appointed organist at Westminster Abbey in 1669, after Purcell's death. He set text by John Dryden to music, which became the 'Ode on the Death of Henry Purcell'. The original 1696 manuscript is pictured.